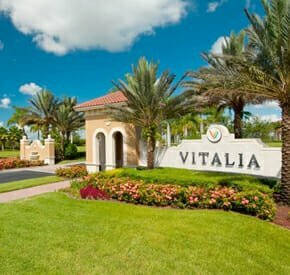 If you are in search of paradise, then Port Saint Lucie, Florida, could be the best retirement destination. 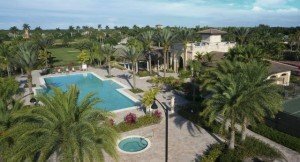 Only in the serene 1,400 acres of the Tesoro Club will you find two world-class golf courses, a magnificent clubhouse, and beautiful Mediterranean styled homes, all surrounded by flourishing mangrove marshes and bluewater lakes. Tesoro, which is Italian for treasure, is exactly as the name implies. The world class luxury homes found within are all set in the natural beauty of the Florida wetlands environment. 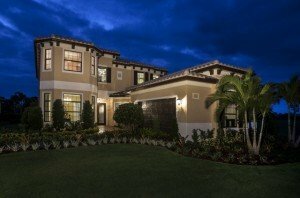 Each of the homes in Tesoro Club are as elegant and luxurious as the community that they thrive in. Starting in the $300s, you can choose from homes with 2-6 bedrooms, and varying floorplans and elevations. Whether you want something a little smaller, larger, or somewhere in between, the homes range from 2,000-5,000 sq. ft. And when you look out your window, your gaze will fall on a stunning nature view. Or a gorgeous golf view—whichever you prefer. The grand Italian clubhouse is 100,000 sq. ft. and not only hosts exciting events, serves delicious food and drinks, but it also has a jacuzzi and spa, for anyone need of some deep cleansing relaxation, as well as other great amenities to take advantage of. 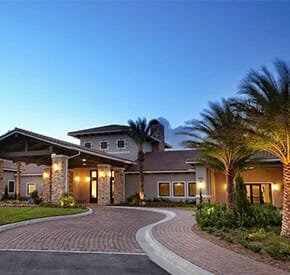 If golf is a huge part of your life, then this Florida retirement community might just be your dream come true. Tesoro Club contains two of the best world-class golf courses in Florida, and is an official PGA tour host. Both par-72 courses seem to set a new standard for world-class golf in a beautiful location, and both courses were designed by golf legends Arnold Palmer and Tom Watson. Palmer’s signature course isn’t the easiest course you will ever play, but you are sure to improve your game dialing in on its difficult front and back nine. Watson’s course on the other hand is a little more forgiving, but can still provide a challenge. 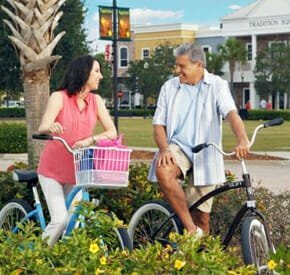 Tesoro’s private residential community is located in the heart of Florida’s Treasure Coast, and lends itself to those seeking the pleasantries of a coastal lifestyle. Beautiful beaches are nearby, and you can enjoy numerous water activities like boating and fishing. St. Lucie is home to the historic City of Fort Pierce, City of Port St. Lucie, and the beaches of Hutchinson Island. Whether you’re coming to explore the unique boutique shops, hit the dining scene, or lay out on the sandy beach, this Florida location will keep you entertained. The entertainment continues back at home, whether it is tennis outside over the eloquent blue water lakes, relaxation in the clubhouse, or getting a little competitive during a game of croquet on one of their two croquet courts. Tesoro Club is the treasure of South Florida that you have been looking for.